When a doctor or other medical professional makes a mistake, the results can be detrimental for the patient. Medical malpractice occurs when a doctor, nurse, hospital, or other medical professional fails to abide by the reasonable standard of care owed to a patient under the circumstances. Common examples of medical malpractice include misdiagnosing cancer or another serious medical condition, prescribing or administering the incorrect medication, delaying essential medical treatment, or prematurely discharging a patient from a hospital. All too often, the injuries that result from these medical mistakes can be painful, expensive, critical, and even fatal in some cases. Fortunately, a Montgomery County medical malpractice lawyer at McMahon, McMahon & Lentz is here to help. In order to build a successful medical malpractice claim, you must be able to prove that the medical professional in question acted – or failed to act – in a negligent manner. This process typically requires that medical experts establish that negligence in fact occurred. The most convincing method of establishing medical malpractice is the testimony of an independent medical expert who can look at your situation in a neutral manner and explain the negligence that occurred in your case. The lawyers of McMahon, McMahon & Lentz regularly work with renowned medical experts throughout the state of Pennsylvania in order to present the most effective medical malpractice cases possible. 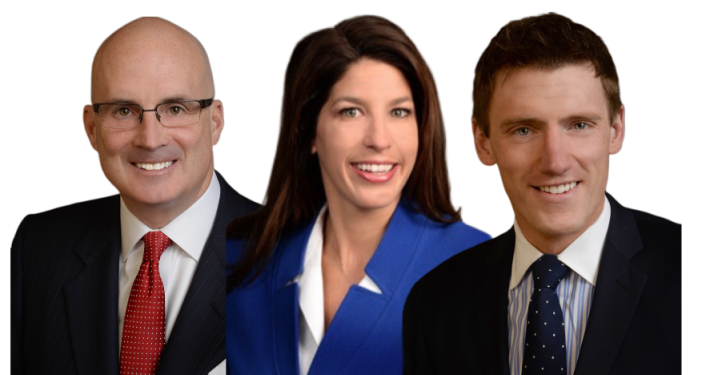 Your accomplished medical malpractice attorney in Montgomery County will work with these medical experts to place you in an optimal position to achieve your goals. In a medical malpractice claim, you may be entitled to various types of compensation for the injuries that you suffered at the hands of the doctor, hospital, or other medical professional at issue. If you are the victim of medical malpractice, it is likely that you incurred additional medical treatment, and expenses for that treatment. In a successful medical malpractice claim, the costs of the resulting necessary treatment are compensable expenses. Likewise, if you suffer permanent injury as a result of malpractice, you may be entitled to the costs of future medical expenses and loss of income resulting from your permanent injuries. While every situation is different, any reasonable expense that you incur as a result of the malpractice potentially can be covered through damages in a medical malpractice claim. However, you must prove that the damages directly resulted from the malpractice incident, and were not already present prior to the incident. Therefore, hiring a Montgomery County medical malpractice attorney can be pivotal in getting you the financial relief from your injuries that you will need. A Montgomery County medical malpractice litigator at the law firm of McMahon, McMahon & Lentz stands ready to represent you in any medical malpractice claim that you may have as a result of another’s negligence. If you or a family member has suffered such an injury, you may be entitled to compensation for your losses. With our experience and skills in handling medical malpractice cases, you can rest assured that you will have a strong advocate on your side to fight for your right to compensation. Call the office of McMahon, McMahon & Lentz at 1-800-859-6262 now to schedule your free consultation with an experienced medical malpractice attorney in Montgomery County.